Journeys of The Zoo wants to help you and your family get organized with a PRK™ Products Giveaway. Believe it or not but the company owner, Paula, came up with the idea and design for her organizers after she (too) had Triplets. That's around a 1 in 8,700 chance! 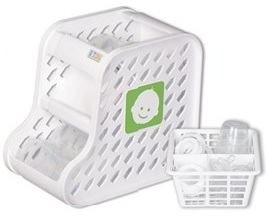 Regain your kitchen cabinet and store plates, cups, or bowls on top of the Universal Baby Food Storage & Organizer. The best part, PRK™ Products are dishwasher safe, BPA and phthalate free and can be stored in the pantry, fridge or freezer (great for store bought or homemade baby food). Get Organized with PRK Products! Enter for your chance to win a Universal Baby Bottle & Sippy Cup Organizer and a Universal Baby Food Jar Organizer. Duration: The contest will run from Saturday, September 1 until Sunday, September 23, 2012, inclusive. 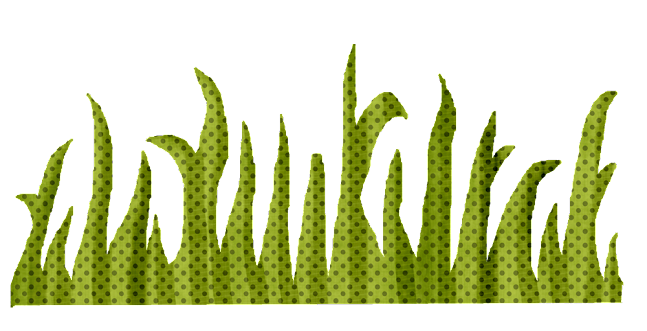 Entry Method: Rafflecopter Form. See below. Disclosure: Journeys of The Zoo did not receive any compensation in exchange for posting about this giveaway. 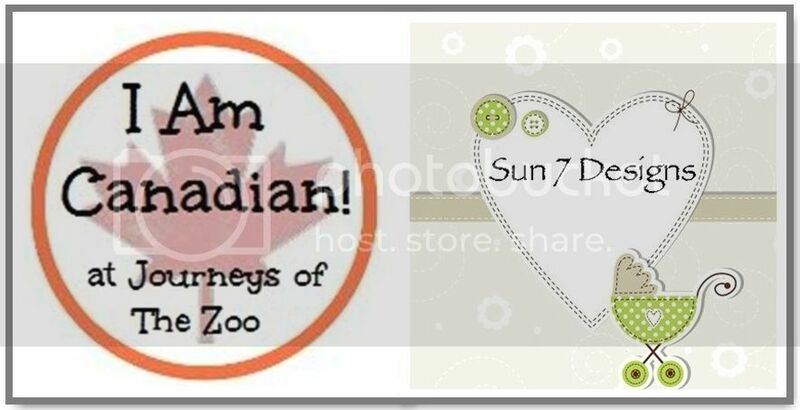 A big thanks to A Hen's Nest for allowing Journeys of The Zoo to participate in this giveaway. This giveaway was posted to Canadian Free Stuff, I Love Giveaways, Contest Girl and Contest Canada. I'd love to win these great products to organize all my bottles, expressed milk & baby food! I love how these are adjustable for different sized jars. Also, they are dishwasher safe! This would be such a huge help! I keep all of our sippy cups and bottles above our kitchen sink and at least every other time I open the cabinet a cup or bottle come flying down at me! I would love to win this for some friends that just had a baby, this would be a great gift to them! I remember those days of chaos with bottles and sippy cups sitting on the counters or falling out of the cabinets. The little jars of baby food are so difficult to organize. I would love to win this for my son and daughter-in-law who are expecting a new baby in January. I LOVE being organized....these are great. Ii wil actually help with the clutter thanks!! Would like to give this amazing product to my new nephew. 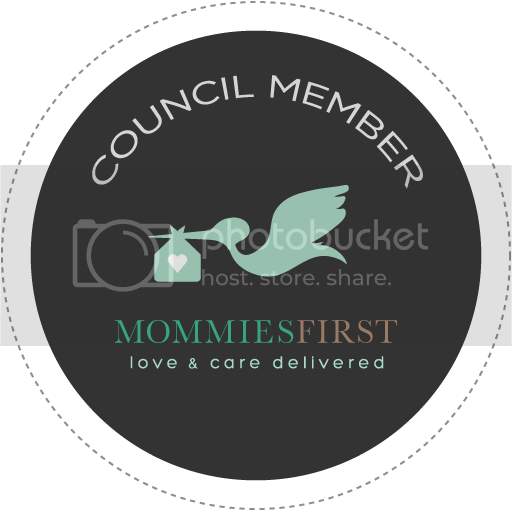 Like that their products are BPA Free and Phthalate Free. I want to win this because those darn bottles get so out of control! I love to be organized so this would help a great deal keeping it under control! My kitchen would be clutter free!! 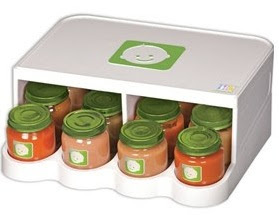 Universal Baby Food Jar Organizer uses space more efficiently. I want to win because with a baby on baby food and with another baby on the way I sure need some organization in my kitchen cabinets. Absolutely need these when new baby comes!!! I'm especially impressed by the stackable and adjustable features of the baby food jar organizers. my sippy cups and lids are currently sitting in a big bowl. I'd love to get more organized. I want to win because it'd be so nice to have all of my infant sons stuff neat and organized rather than haphazardly scattered all over the counter. This would also help prevent messes and spills. Look like great products to help keep me organized! I love to be organized! I'm loving their storage systems! I have a baby due in February, and I'd love to learn more about how their products can help me organize! IF THERE IS EVER ANY ONE THAT NEEDED ORGANIZATION IN THEIR FREEZER ITS ME, I HAVE ALREADY MADE A FEW PLANS WITH THE JAR RGANIZER-THANKS! I want to win to organize jar foods alittle better. I want to win so I can organize all the sippy cups and bottles we have! 3 kids under 5 means lots to organize! I would love that baby food jar organizer. So far she only has one shelf in the kitchen and it would help me fit alot more in a small space. I would like to win just so something in my kitchen cabits would be organized for our upcoming baby! I would love to win! I have all the baby food stacked up in a cupboard and it looks terrible. The baby food jar organizer would be a dream! I love having everything neat and organized! This is definitely a prize for me and a great re-gift once I'm done! I want to win because I just had a baby, and am now realizing how much stuff they come with! Anything to help organize is appreciated. I want to win because I need away to organize our baby food! I want to win because Im due with baby in November. I'd love the Universal Baby Bottle & Sippy Cup Organizer. Would be great for the fridge!!! I would love to keep everything in one spot! I want to win because if there is one thing I need its organization. I'd love to tame the mess that falls out of the cabinet...I open it with fear...lol.. I need the bottle organizer x5! I like that htey are bpa free!! I'd love to win this so I can ORGANIZE!!! I would like to win because sippy cups are taking over my cupboard. I would love to win so that there can be some organization in this house. I want to win so I can get organized. This would come in very handy for all new mommies. Help with organization for a new mom. This would be time and space saving. I know someone that is pregnant and this would make a great gift!! I would love to give this to my pregnant friend!! She would love it! I want to win because I love to be organized and would use all of this with my 10 month old son.